Set Oven to 300 Degrees. You can cook the chuck roast by itself in a Dutch oven or with potatoes and carrots. 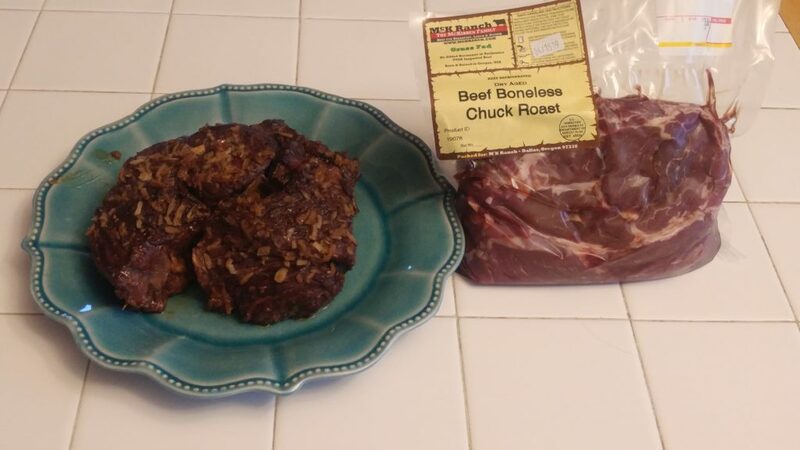 To Cook the chuck roast by itself just place in a roasting pan and sprinkle Onion soup mix evenly over the roast. Cook at 300 for 3 hours and 30 minutes. Optional : Quarter the potatoes. Mix potatoes, carrots, and olive oil together. Place in the bottom of the pan. Sprinkle with salt, pepper, and garlic powder. Place roast on top of potatoes and carrots, sprinkle the roast with the onion soup mix. Cook at 300 for 3 hours and 30 minutes.